Home Showbiz Bollywood Priyanka & Nick’s engagement cake decorated with 24 carat gold? Priyanka & Nick’s engagement cake decorated with 24 carat gold? Priyanka Chopra and Nick Jonas’ roka and engagement celebrations took the net by storm over the weekend. The latest buzz doing the rounds is that their engagement cake weighed a huge 15kgs. 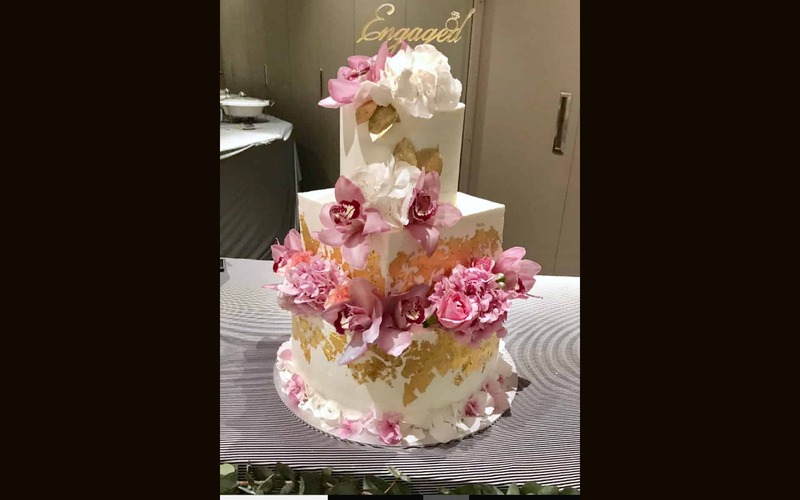 What’s more, the gold and floral design seems to have got everyone talking as reports say that the gold leaves adorned to the cake were made out of pure 24 carat gold.